In my haste to clean up after Christmas, I neglected to save your address from the package! And there was no name, so I am using my blog to say Thank You for the thoughtful gifts and hope you see it. 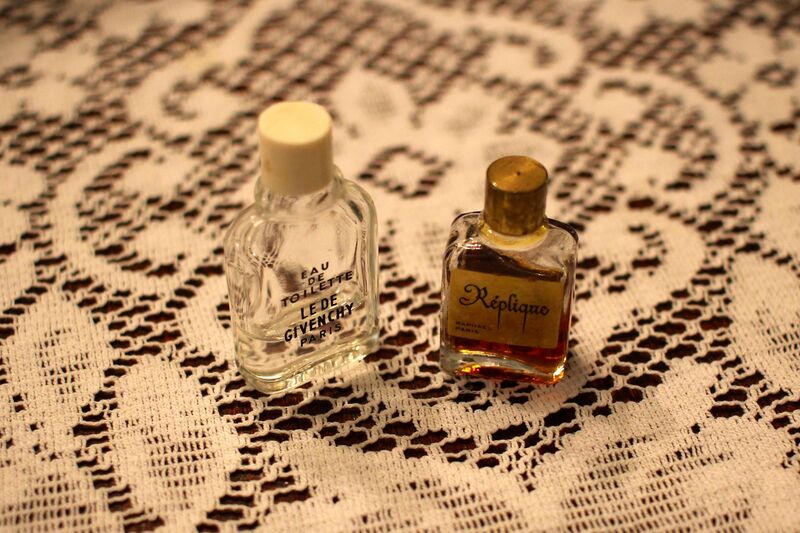 The charming gifts from my Vintage Secret Santa. I have read a number of vintage movie star biographies (Grace Kelly, Lana Turner, Gene Tierney) but have not about Gloria Swanson, so that will be a treat. 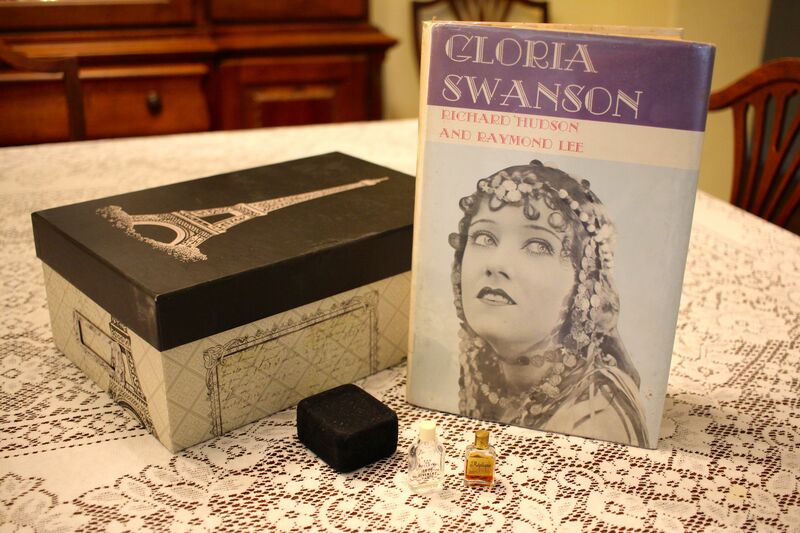 The little perfume bottles will be adorable on my dressing table tray, and the box will be perfect for my New Year’s goal to be more organized this year. I really appreciate your taking the time to send these lovely things to me. And a big THANK YOU for Jessica at Chronically Vintage for putting the whole gift exchange together. It was so much fun, and I look forward to participating again next year!